What Could Be More Australian? Green and gold toenails at the beach. Dinner at a pub before heading outside to this view. There was some sort of ceremony going on, including a guy playing bagpipes on a boat. We still haven't worked out the significance of that one. And ending the day with fireworks. Love it. There are few factors that will have more impact on your experience traveling that this, and it's something we often don't really stop and consider - who you travel with. Where you go, what you see, how active you are, if you are late to bed or early to rise, what you eat, your impressions, how you deal with the ups and downs, whether you never want the trip to end or are grateful to get back to real life - your travel companions (or lack of) have an immense impact on all this and more. I have traveled on my own, with my parents and sister, with just my parents, with just my Mum, with a female friend, with a male friend, with a group of friends, on a tour, with a friend on a tour, on a school trip. All these different traveling companions have had different implications and consequences, both big and small. I don't think one option is necessarily better than another - just different. As I am writing this I am away at the beach for a few days with my Mum. It's the 5th time just the two of us have headed to the beach in what has become an annual tradition. This morning we slept in, got sucked into watching the movie The Shipping News on TV and didn't actually leave the hotel room until after midday. I'm certain that if my Dad had come with us that wouldn't have happened. He would have been itching to get out the door hours earlier. What you do, how you interact, pretty much everything is influenced by who you travel with. I know that for most people, who you travel with isn't really a choice. So, I suggest you stop and think about this traveling companion (or lack of if you're heading off alone). Think about the implications and expectations. Think about the factors you can change and those you can't. Think about how you are compatible and how you differ. Think about the big issues of budget and destination, organised tour or independent, planning ahead or winging it, experienced traveler or newbie. Think about all the smaller stuff too. Then sit down with them and talk about it openly and honestly. Discuss your expectations. Compromise, negotiate, reassess. Even if you're planning to travel with someone you live with because there is no heading off to work when you're traveling. You will probably be together constantly. It is way better to have this conversation around your kitchen table than after arguments and frustrations halfway around the world. For my recent trip I headed off alone. I had been considering traveling to the US, including visiting Disneyland and a roadtrip along Route 66, for over a year. Various friends, even my Mum and sister, were interested in coming but were unwilling or unable to commit due to other priorities. So, I reaccessed. Disneyland and a roadtrip wouldn't be fun on my own but I was also interested in Cuba, which I'd do on a tour anyway. A new plan was born. Joining a tour, and the travel companions that can provide, is a bit of a leap of faith. You never know who or what you are going to get. Although you haven't met these travel companions before they are still going to have a massive impact on your travel experience. They certainly did for me in Cuba. I was in the immigration queue at Havana airport when the person behind me noticed the Australian passport in my hand and asked if I was doing an Intrepid tour. That person was Aly. Aly and I in a pedi-cab in Camaguey. While I was focusing on which joining hotel Aly was going to (hesitant about catching a taxi on my own), she sensibly asked which tour I was doing. Same one. Aly commented that it would be funny if we were roommates - I thought it would be funnier if we weren't. Sure enough, I'd managed to meet my Cuban roommate before even officially entering the country. I was incredibly grateful for this a short time later as a customs lady took my passport and disappeared. It turned out I had simply been selected for a random secondary check but as I don't speak Spanish there was a while when I wasn't certain what was going on or what I was meant to be doing. Having your passport disappear isn't a pleasant experience. Although I would have managed on my own, it was wonderful to have Aly waiting by my side. After a bit of a wait and answering a few questions (including how big my camera was?!) all was fine and we headed off to the hotel. I consider myself really lucky in getting Aly as my roommate. We got on incredibly well - maybe it has something to do with sharing the same birthday! I don't think we really spent any time apart at all until Day 10 or so of the tour. That is a big ask of any travel companions, let alone ones who have just met. Together we went sightseeing, climbed towers, shopped,lunched, chatted, took photos, pointed out things and discussed our observations. Aly had a very big impact on my experiences in Cuba. Lucky for me it was a good one. Me - as a baby, as a 3 year old with my 13 hour old sister, with my Dad, with my Mum and Nanna, with my friend Nicole. As part of Ali Edward's Yesterday and Today class, I have pulled out the photo albums from my childhood. Flipping through the pages I've thought of so many stories, remembered so many things. It's been wonderful. Many photos have notes written on the back by my Mum - like my first trip to the cinema or that Jenna was 13 hours old - for which I am so incredibly grateful. I'm reminded of why I scrapbook - photos are lovely but knowing the stories that go with them adds so much more. More heart. More feeling. More connection. More significance. More appreciation. As I was sitting in the cinema earlier today, waiting for the movie to start, I had a brilliant thought - I will aim to go see 52 movies this year. It seems like I am always wanting to go to the movies and rarely manage it so this would be the perfect motivation. There's the drive-in and Moonlight Cinema too that I've been wanting to go to again, not to mention the decadence of Gold Class Cinemas. Attempting to go to 52 movies in one year, in less than 52 weeks given that January is already half way over, was NOT a brilliant idea. There would be weeks where I couldn't manage a trip to the cinema so that would mean often needing to go twice a week. And don't forget the cost of all that! I've scrapped any thought of aiming for 52 movies but still want to see more this year - although I'm not going to set a target, I have the number 24 lurking in the back of my mind - and get to the Moonlight Cinema and drive-in. So, I'm going to track them here and see how I go. Synopsis: A veteran train engineer (Denzel Washington) and a young conductor (Chris Pine) race the clock to stop an unmanned runaway train - effectively a missile the size of a skyscraper - heading towards a populated area. Dad suggested this one and I agreed without having high expectations but this movie drew me in immediately. The tension was incredible. I was almost teary on a couple of occasions - not that unusual for me in movies but this was an action flick! Great use of news footage to keep the audience updated. Loved it! This is the first time I've turned a blog post into a layout. I'm quite pleased! A photo from early November, journaling from a blog post in January and I have a snapshot of me, age 28, recorded. Life seems so busy at the moment and I feel like I am bouncing from one thing to another without really finishing anything. But, I am determined that my December Daily album will not fall to the wayside. It will be finished, eventually! To re-inspire / guilt / remind myself, I thought I would take you on a virtual flip through the finished part of the album. Some of these pages I have posted before, some not. I haven't posted page 5 before so here is a better look. And a close-up of Day 10. There you have it - my progress so far. Day 1 -11 is totally complete. Everything else, not so much. But I'll get there. Eventually. When I end up with a storage container simply labelled 'stuff', I'm not sure I can really call the reorganisation of my bedroom an absolute success. But hey, at least it's labelled! 2. On the weekend my friend Lucy and I went through my entire wardrobe and through out two garbage bags full of clothes and shoes. With comments like 'How many pajamas do you really need?' and lots of 'out' she was a hard taskmaster but exactly what I needed. Thanks Lucy! It's lovely to have rediscovered some items I'd forgotten about. And to have drawers that can close. 3. Last night a friend commented that one of the things they liked about me was that I didn't care what others thought. That through me for a loop! Really, that was how I'd come across to them? Although I like the sound of that in theory, I couldn't help wondering why they thought that. Was it because I wore unattractive clothes, had weird hair....? I didn't ask the question in case I wouldn't like the answer. But this got me thinking about how perception and reality can differ. And, surprisingly, I'm the one adjusting my perception. Yep, I'm human and sometimes can't help wondering what others think but you know what, most times I'll do what I want regardless. I think I'm a bit proud of that. ﻿4. The other day I was at the supermarket and saw a special on cans of soft-drink, 2 boxes of 15 for $20. I put 2 boxes in my cart and headed to the checkout where they scanned at $45 total. I queried it and ended up back at the shelf checking the price. Yep, I'd picked up 2 boxes of 24 cans, not the 15 can box that was on sale. So, instead of 30 cans for $20, I had 48 for $45. That was NOT a bargain. Oih! After my last birthday I created 27 Goals for the Year I'm 27. I'm claiming success on some - go shopping in New York, make a new friend, go away for the weekend with friends, go to the beach spontaneously, see the White House - and on others I didn't do so well. To mark this birthday (couple of months late but I reckon an overseas trip is a good excuse!) I've decided to list 28 things about me right now. Some big, some small. Some will change, some will stay the same. Just 28 things about me right now. Random and true. 1. My next-to-big toes are painted a different colour from the rest. Mum commented on Christmas Day that she liked theeccentricity and thought they looked good. I've traditionally painted my toes multi-colours for Christmas. Now I want it to be my thing, my eccentricity, always. 2. I'm often called Leigh on the phone at work. I say Delanie but they hear Leigh. I've given up being annoyed and decided I should accept it as a new nickname. 3. For a while I often found myself saying 'def', as in definitely, instead of yes. While I noticed I hated the abbreviation and I hope I have got over the habit. 4. I still have trouble spelling the word definitely. I want to put an 'a' in it. 5. Oih - I write it, I say it. A lot. It's such a useful word, even if it is reminiscent of a stereotypical Jewish grandmother. 6. I love potato salad but haven't ever actually made it for myself. Mum often makes it for me though. 7. I don't like filling up with petrol and have a strong familiarity with the empty light. I haven't conked it out yet though. 9. When I was in Cuba my roommate gave me the nickname 'water baby'. I love being in the water, particularly at the beach. 10. I don't really like wearing shoes. When I walk in the door at home the first thing I do is take them off. In summer I've even been known to walk around the office barefoot. 11. Around mid-year, when the weather turns cold, I start singing Christmas carols to myself. Dashing through the snow...When the weather outside is frightful - they suit winter. 12. I believe there is never a wrong time or wrong weather for icecream. 13. I would want my engagement ring to be a sapphire, square cut I think. I was hooked from the moment I tried a massive one on in India. It would even match my eyes. 14. If I don't do yoga regularly my right foot turns out a little when I walk. 15. 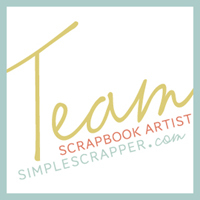 I have just signed up for my first ever scrapbooking class, Yesterday and Today with Ali Edwards. In the first video Ali says that she truly believes scrapbooking can change your life. Although I've never thought of it in those terms before, I am a believer. 16. I get a lot of library fines nowadays - paid one just yesterday in fact. Given how much I read though, it's still way cheaper than buying books. 17. I'm often amazed how like Mum I am in so many ways. I wonder if or when that is going to change. In the past it has bothered me, now I don't mind. 18. I almost threw-up the other day when I was tipping some old milk down the sink. I was bright red, tears running down my face, coughing and gagging. I really shouldn't procrastinate that sort of thing. 19. I have an innate ability to see the other perspective of an issue. Mum has called it sitting on the fence but it's just how my mind works. 20. Although there are exceptions, I don't tend to watch DVDs more than once. This was actually a trait for my personality type according to a personality test I did on a work training course. 21. I think a butcher would be one of the worst possible jobs for me. All that bloody, raw meat. I'm icked out enough just cutting up meat for dinner. 22. I don't tend to read 'literature'. I think I should but it never seems interesting. Before I headed to Cuba I did read 'The Old Man and the Sea' by Hemingway and was amazed I could become so caught up in a story about fishing. 23. My bedroom is making me feel claustrophobic at the moment. I have too much stuff and not enough space. I have been wanting to do a big clean-out for months but it's daunting. 24. I have no inclination to be on a scrapbooking design team. I think there is nothing that would kill my love of this hobby faster than putting me on deadlines and making me do it. 25. I need to budget better this year. Actually creating a budget would be a good place to start. 26. I haven't ironed in a couple of months. I'm fine with that. My Mum probably isn't. 27. Sometimes I bounce from task to task, easily distracted. Last night I discovered I'd hung up only half the washing before moving on to something else. 28. I really dislike being told I'll love something or that it is totally me. I don't mind it in advertisements or if addressed to a group but if you are speaking directly to me just put a disclaimer on the front - I think - and I'm happy. And there you have it - 28 things about me right now. They will end up on a scrapbook layout soon but for now I'm just glad I have them recorded. I’m back at work now and definitely not ready to be. Not that this week is a difficult one - all alone in a very quiet office - as evidenced by this blog post, written at work. Also, I'm currently watching The Backup Plan on DVD too. (Much better than I thought it would be.) Definitely a hard day at work! Although, all I have for lunch is a ham and mustard pickle favoured roll that I picked up from the bakery on the way to work. It doesn’t sound particularly appealing, plus there is no milk for a coffee. The food places at work are closed for another couple of weeks. I knew that but wasn't joking when I said I wasn't ready to head back to work. Not that it really matters - I don’t have money to buy anything else anyway. The coins in my purse were carefully counted before I headed into the bakery this morning. All my bank cards expire at the same time – now. The new cards, authorisation phone numbers and pins are all sitting in a pile of mail on my bedside table, envelopes opened but that is as far as I got. Also in that pile of mail is the bills for my car registration and insurance. It's a little daunting, hence they are all sitting opened and yet unactioned. (Mum, if you are reading this - rego and insurance aren't due until the 21st so relax. I'm unorganised but not crazy.) Really should sort that all out tonight though - money situation is getting a touch dire. See, I'm really not ready for it to be 2011 yet. I only took my 2010 diary out of my handbag this morning and my new one hasn’t made it in yet. Forget about all the birthdays being transferred over! But, there is definitely one thing I am looking forward to this year, or at least the planning of because I don’t know if they have set a date yet. Yep, I’m talking wedding. Dave proposed to Liz on Boxing Day (the 26th), with a ring that she is rapt with so extra credit to him. I was quite chuffed to be her 4th phone call and am delighted that I am going to be a bridesmaid (again). They are a lovely couple that just seemed to suit each other so well from the moment they got together. I am so pleased for them and looking forward to sharing the big day with them. Crisis averted – my savings card is still working. I just walked to the supermarket to grab a snack and milk for tomorrow's coffee. The weather outside is gorgeous. Gorgeous. Nice and sunny but not hot. Trust that this weather occurs today, just when I have to go back to work and sit in an office all day. The guy at the supermarket commented on the weather – we really have been experiencing a ridiculously cold and wet summer - and sympathised with me. He agrees that the nicest weather is never when you have the chance to enjoy it. Mother Nature likes to taunt us. The exception to our cold and wet summer - New Years Eve with a stinking hot 40+ degrees. I did make my first trip to the beach this summer though - a quick 15 minute stop on the way to celebrations at Lucy and Chris'. How was that for a segue into New Years Eve? It was a great night, just the four of us talking, laughing, eating too much and drinking lots of mojitos. Is that bottle empty? How did that happen? I'm pretty sure he will hate that I posted a picture - he was hiding from my camera earlier. Hi Chris! And to cap off the night, at midnight there were fireworks. LOVE them. They were illegal and I know I shouldn't encourage them but I don't care. We heard the bursts and I was outside looking up in wonderment. Definitely something magical about fireworks. It was a perfect New Years Eve. And the New Years didn't get off to a bad start either, not with chocolate pancakes for breakfast. Thanks Lucy.